Geovana Peres and Lani Daniels have started their respected training camps ahead of their World Title fight against each other on March 30th, in Auckland New Zealand. With 10 weeks to go till the event, all hands are on deck getting the logistics of the event done. Bruce Glozier of Glozier Boxing is expected to make an announcement any week now about Ticketing details, venue, TV and undercard. While Glozier is keeping busy event managing, Geovana Peres and Lani Daniels are deep into their training camps. gets all the right nutritions that she needs. Mayhem Boxing team has a big stable of boxers to help Geovana with Sparring. Some known names including Navosa “Smiley” Ioata, Commonwealth bronze medalist Troy Garton and her coach Terry Batchelor. There is a rumour that former WBO Oriental Champion and former top 10 WBO Ranked Gunnar Jackson, is interested if helping Geovana Peres out with sparring and help prepare for her World title bout. It is also believed that Geovana sparring partners are now being carefully selected due to Geovana injuring her sparring partners, mainly by concussions. Geovana Peres sparring partners have big plans for 2019. Troy Garton will be defending her number one position in New Zealand in a couple weeks time and hoping to qualify for the olympics. Navosa Ioata will be fighting on the Peres vs Daniels undercard, scheduled against Chris Rehu. Navosa “Smiley” is also scheduled to fight Panuve Helu on April 20th for the New Zealand National (NZPBA version) Cruiserweight title. Whangarei, New Zealand born Lani Daniels, has been very busy in her training. Nurse by day, Boxing training by night. Lani Daniels family owns a gym in the Northland area called “Tukaha Boxing”. Training there daily and traveling to Auckland every Thursday, Friday and Saturday to train with former World Muay Thai champion John “The Rebel” Conway. Conway said “Lani train with me Thursday night Friday morning Friday night Saturday morning and Saturday after noon. The sparring is ruthless and often the rebel is backed up. The rebel known as a evasive fighter is often caught with lani speed”. John Conway gym “Rebel Lee Gar” is a Boxing, Kickboxing and Muay Thai focused gym in New Lynn, Auckland. It is well known for its intense workouts, using old school type training and techniques. The training and sparring this the gym are so intense, some professional boxers have walked out half way through training. Alongside Ants Fryer who trained under John Conway for 20 years, Rebel Lee Gar is one of the best gyms in Auckland. The gym has produced a lot of amazing fighters including former WBC ranked boxer Baby Nansen, former WBA – PABA Champion Adrian Taihia, David Letele Brown Buttabean and obviously Lani Daniels. While Lani Daniels has been with John Conway, she has won her second New Zealand title, gotten ranked in the WBA and has received multiple World title offers, including a fight in Croatia and obviously this confirmed bout against Geovana Peres in New Zealand. Both boxers have been really humble during this preparing time, with very little trash talk. Only trash talk has been between John Conway and Benjamin Watt on facebook and one cheeky comment from Lani Daniels. On facebook Daniels responded to comment from her friend “She looks bigger than you”, Lani replied with “it’s an illusion 💪🏽haha”. In an interview with Gladrap Channel, Geovana Peres responded to the comment saying “it could be an illusion…. Everybody is entitled to their opinion”. Claressa Shields management team made a comment after the instagram chaos “It’s exciting to see these two champions – Geovana Peres and Lani Daniels – want to fight each other to prove who is best. Women’s boxing needs the best to fight the best in order to begin to achieve the recognition with fans and ultimately achieve equality with men’s boxing. I love their spirit and their understanding that to BE the best you have to BEAT the best, and that’s me.” Mark Taffett, of Team Shields. 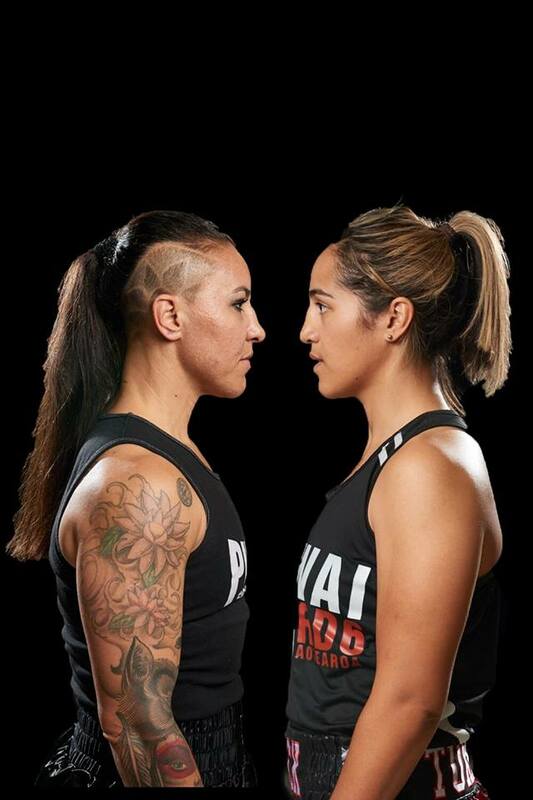 The rematch between Geovana Peres and Lani Daniels will be on March 30th in Auckland, New Zealand. The event is Promoted by Bruce Glozier of Glozier Boxing. The undercard will feature Hemi Ahio, Panuve Helu, Andrei Mikhailovich, Navosa Ioata, former top 15 in WBO, WBC and WBA ranked boxer David Aloua, Vivesio Setefano, Semisi Kalu, Evander Tia, Slade King and more. More announcements will be made over next couple weeks with Venue, TV, Ticketing and confirmed undercard.